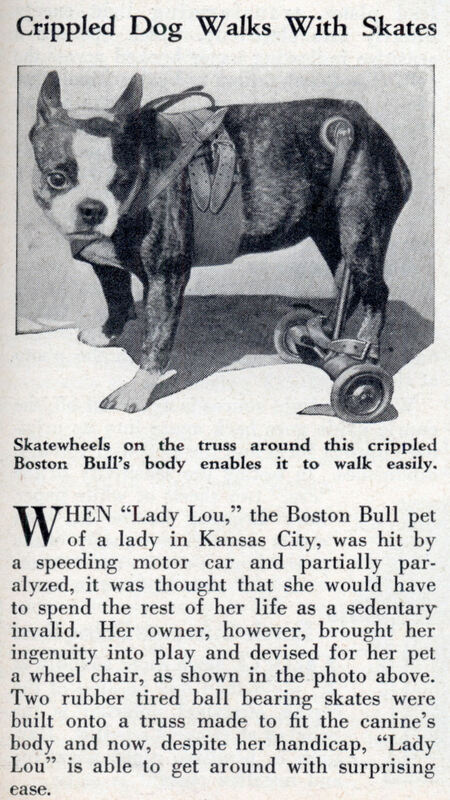 WHEN “Lady Lou,” the Boston Bull pet of a lady in Kansas City, was hit by a speeding motor car and partially paralyzed, it was thought that she would have to spend the rest of her life as a sedentary-invalid. Her owner, however, brought her ingenuity into play and devised for her pet a wheel chair, as shown in the photo above. Two rubber tired ball bearing skates were built onto a truss made to fit the canine’s body and now, despite her handicap, “Lady Lou” is able to get around with surprising ease. Babe: Pig in the City had just such a dog. 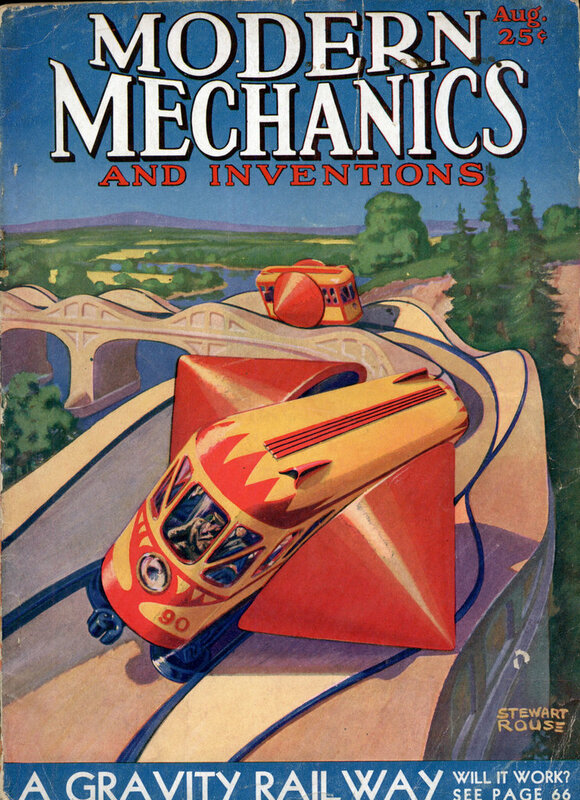 I wonder if the George Miller and the other writers of the film got the idea for the character from this article. To be honest this dog doesn’t look very happy.